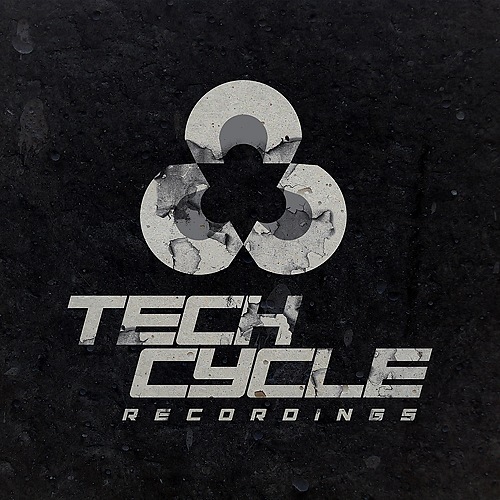 Tech Cycle Recordings is a digital drum and bass label founded by Eldar Kontselidze aka DJ Darrel in the end of 2009th year. It's located in Orel, Russia. Tech Cycle was started for releasing various hard drum and bass genres like: technoid, hardstep, darkstep, halfstep, techno dnb and similar subgenres. The label is happy to support any talented drum and bass artist. And with internet it's now possible for producers from many different places to shape culture together. Our main goal is support of young, talented artists and also cooperation with the well-known musicians bringing qualitative, hard and dark drum and bass music into masses. Releases of Tech Cycle has got positive responses and support from: Counterstrike, Katharsys, Zardonic, Thought, Kaiza, DJ G-I-S, DJ Gvozd and many other figures of a scene, almost from every corner of the globe. Our music is available in stores like: Beatport, Junodownload, Trackitdown and others. Leading up to the release of the new 2 track EP on Tech Cycle Recordings, we've got an exclusive interview with one of the most unique producers on the dark side of drum and bass! If you've never heard this name before (i doubt, haha) then it's time! His music is obviously not for faint hearted kids. Don't believe me, just read and have a listen. DJ Darrel: Hello, Steve. Many people might be ignorant to what's going on with Drum and Bass scene in Greece. Tell us about the first experience and who inspired you to become a producer. DJ Darrel: When did you first get interested in creating music? What kind of sound was it? Throttler: My first experiments was using GW Basic! However it wasn't until PlayStation came out with a game called Music, which was the first time I made something more sounding like music. My origins where breakbeat and jungle, so that was what I was trying to make. DJ Darrel: Tell us about your alias. Why Throttler? Throttler: Throttler has a double meaning. Firstly ( one who operates a throttle ) matches my love for racing sports -old time F1 fan- which also suits my music, usually 180 BPM. Secondly, (someone who kills by strangling) it's a bit threatening, which I believe also matches my music. Finally, the ancient Greek Sphinx was called a Throttler. In Greek, "sphinx" means "strangler." DJ Darrel: The world knows many dark dnb artists but your sound is really different and it can be described as your own unique fast Darkside/step style in general. What is the main influence to your Drum and Bass? 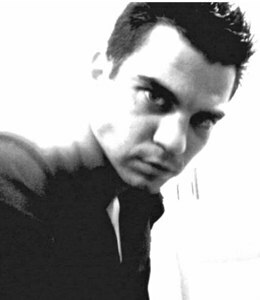 Throttler: Being around in dnb since its birth, I have listened to all styles of dark dnb. From 1996 techstep to today's darkstep. If you listen to the album Torque [NUTLP01] , you will better understand my background. Combine it with the latest cutting edge dark dnb, and the future's technology, and you get a mixture of dark, hard and fast, notorious techy sound with nightmare landscapes. DJ Darrel: You have a number of releases at Freak, Killing Sheep, Amalgam, Nekrolog1k, Sustained and other labels including your Throttler Recordings which was launched in 2010. Do you have a favourite of this lot of released and should people expect from you new vinyls, cd's or digi's in the near future? Throttler: No favorites. Each and every tune was different and made from scratch. I am very grateful I collaborated with all those great labels and I respect each release differently. As far as forthcoming, I have a lot of unreleased stuff and I can't wait for them to come out. I really want everyone to hear my latest work. In fact my latest collaboration is with Tech Cycle Recordings, where I hope I will get a lot of stuff in the next few months and make the wait for all the fans worth. DJ Darrel: What software or hardware do you use? Throttler: That requires a really long answer... I use Cubase 7 as my main DAW, and Sonic Core as my main DSP synths and DSP mixer and plugins. I have setup my own studio where I do all my recordings, mixing, etc. Other than that I have some "toys" such as an MS-20, a MiniBrute, & more. I don't want to bore you. DJ Darrel: You prefer to work alone as i can see. Exception is your project with Lowbss. Does it still exist? Throttler: I prefer in person collaboration. It makes more sense to me than exchanging files over the internet. My collab with Lowbss is very much alive. In fact recently we got remixed by Black Sun Empire for the tune Hypnotized. We have a great sideproject with more experimental and downtempo tunes. Great stuff. DJ Darrel: I know that you are employed in S.A.E. (SAE in short, formerly also known as the School of Audio Engineering and the SAE Technology College), Athens Electronic Music Production department. Are you growing young Throttlers? Throttler: Yes I am! I am very blessed with this job. I am now the Coordinator and Head Instructor at the SAE Athens EMP dept and this gives me the best possible opportunity to make little Throttlers!!! There is such a great potential to all these young producers and I have the oportunity and responsibility to assist them bloom. I'm doing my best for then. DJ Darrel: Have you ever been in other countries with your dj set/show? Any dreams for desired locations around the world? Throttler: Yes of course, UK, Belgium, Germany, Switzerland, the list goes on. The most desired location is where fans want me to be. That's my favourite place. When the sun is almost rising, the bass drops and everyone screams. That's my dream location. DJ Darrel: Try to describe your studio time. Throttler: If it's experimentation time, then it's fun time. Trying new stuff and find something useful. If it's production time, then it's focus time and down to work. In general I try a bunch of ideas and keep the best to work with. DJ Darrel: What music do you listen out of your production and how do you see the perfect breakfast? Throttler: Other than dnb I listen to all sorts of stuff. Everything has something great to offer. From Emmure to Steely Dan.The perfect breakfast is on a snowy mountain, on a trail in 8 am drinking hot chocolate. DJ Darrel:Any final words for fans? Throttler: Support the artists. Keep it hard, keep it fast! From the depths of shadows it's coming to you! The killing mixture of dark, hard and fast, constantly alternating Throttler style, made of notorious landscapes and techy dancefloor breakbeat treatment. Now is the time to announce our next BIG release feat. Hostage aka Adar Friedberg! It's a great honor to have on board one more dark dnb genius! Oval opens release and immereses you in the abyss of shadows. Fantastic dark techy roller with cold soundscapes and cutting percussion. It brings you back to No U Turn early times at some point. No doubt! Next up is twisted insanity called Burning Inside. Tight metallic breaks, screaming synths and dirty reeces in your face! Crackling hard dnb machine on the walk!